The center of culture and arts of NAU is located on Komarova Avenue, 1 (the landmark is a large plane about 8 corps). Student towns are a special story, there are always a lot of events, laughter and hanging out. And such a concert venue, where you can discover talents and spend time abruptly - is simply necessary. By the way, the location seems to have been created for carrying out humorous events. 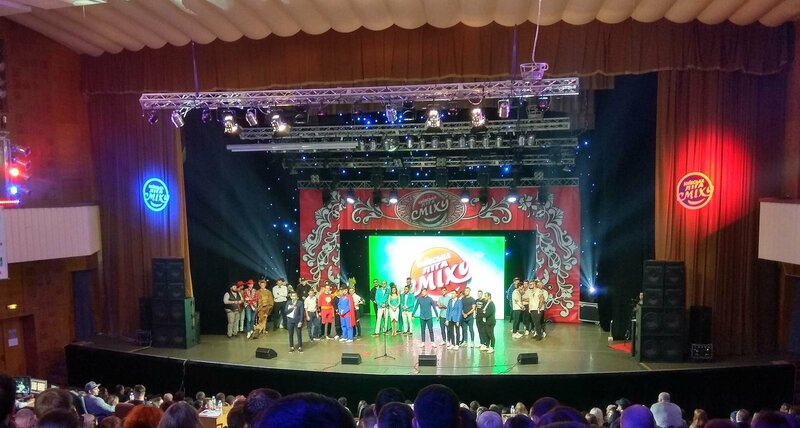 It is here that the opening of new seasons and all the qualifying concerts of the "Kiev League of Laughter" TV channel "1 + 1". And also a variety of performances, musicals and shows. Liubomyr Melnyk in Kiev. Additional concert! Find out about cool events and new capital openings round the clock. Join us on Telegram!